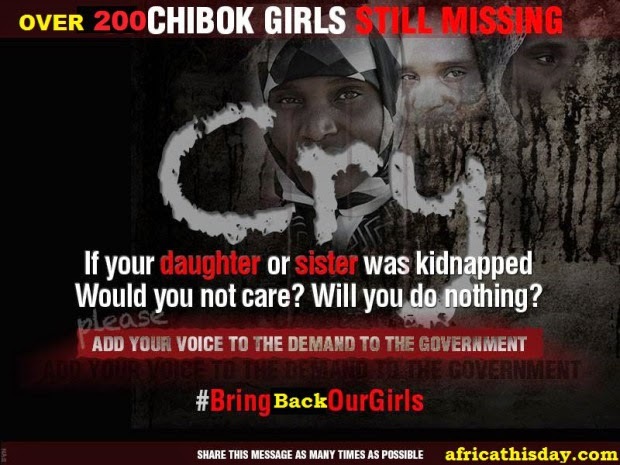 Am sure by now, most of you have heard of the tragic events going on in Nigeria, West Africa. In case you haven't, there have been bomb blasts, mass murders, and series of kidnapping. 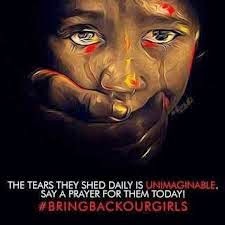 Over 2 weeks ago over 200 schools girls were kidnapped from their school at Government Girls' Secondary, Chibok, Nigeria, by an Islamic Terrorist group called Boko Harram. The sad part is, they have not been found. There have been reports that although some have managed to escape, some have been, or are being sold off to militant men as child brides for a little as $12. Thankfully, so many people have begun to raise awareness. Hopefully, the Nigerian government will do something. But then again, we cannot rely on them. It's been 2 weeks, and still no news. Many of us might feel like there is nothing we can do. On the contrary, there is something YOU can do! I am a Christian and I believe in the power of prayers. Dear readers of this blog, regardless of your religion, your prayers will be highly appreciated. Please pray for their safety, pray that they are found, and pray that they return home safely. You can also sign a petition to the Nigerian government at Change. org Here . This petition is not restricted to Nigerians alone. You can sign it regardless of your nationality or race. Then they came for me. To speak out for me!